Forty-four years ago, four kids from Liverpool performed what was then the largest, highest grossing rock concert ever – the Beatles Live at Shea Stadium. 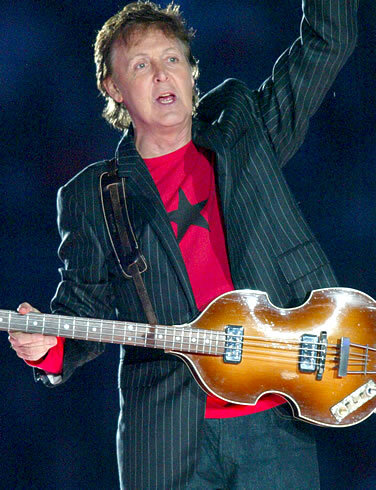 In the summer of 2009, Paul McCartney did it again, performing at Shea’s former site, New York’s Citi Field in Queens, NY. ABC will bring viewers this dazzling concert in which he performs Beatles, Wings and solo classics. Culled from nearly three hours of music and video, the program is an emotional journey through his legendary 50-year musical career and includes footage of the original Beatles concert at Shea. McCartney also talks candidly about those early days and what it was like to return to a place where he performed at the height of Beatlemania.